Remember (2015) – What's New on Netflix Canada Today! With the aid of a fellow Auschwitz survivor and a hand-written letter, an elderly man with dementia goes in search of the person responsible for the death of his family. 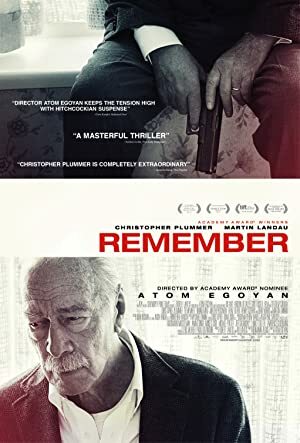 “Remember” is the contemporary story of Zev, who discovers that the Nazi guard who murdered his family some 70 years ago is living in America under an assumed identity. Despite the obvious challenges, Zev sets out on a mission to deliver long-delayed justice with his own trembling hand. What follows is a remarkable cross-continent road-trip with surprising consequences.